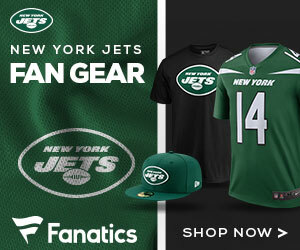 Jets Gab - The Definitive New York Jets Blog! Apparently, safety J.J. Wilcox had a change of heart. 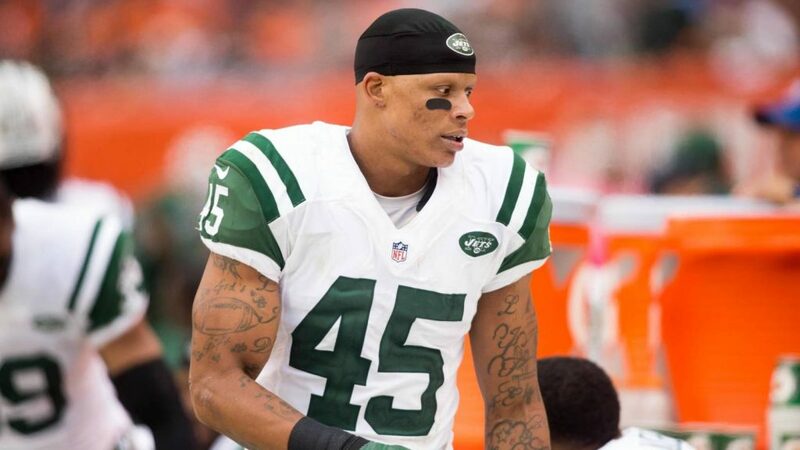 He agreed to a deal with the 49ers but instead will sign with the Jets according to Adam Schefter of ESPN. Wilcox decided that he wants to play for Jets head coach Todd Bowles. One source told Schefter that Wilcox got “stage fright” after verbally agreeing to sign with San Francisco. 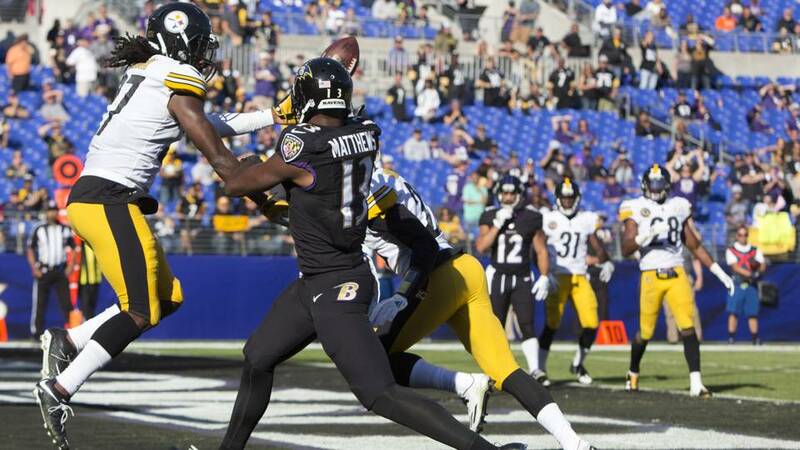 Wilcox, 27, was acquired by the Steelers in a trade last year with the Tampa Bay Buccaneers, who had signed him as a free agent. In his only season in Pittsburgh, Wilcox appeared in 12 games (one start) and finished with 12 tackles, one interception and one pass defensed. Jets quarterback Teddy Bridgewater’s trade value is “trending upward” according to Rich Cimini of ESPN. Cimini added that Bridgewater was “one of the bright spots” at OTAs last week. 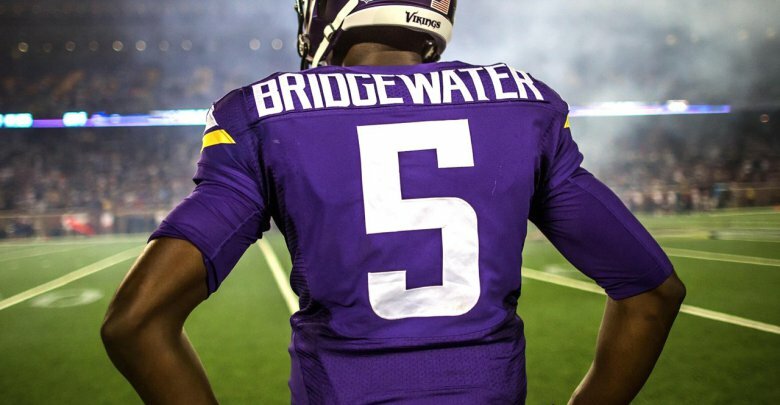 Bridgewater’s story is familiar to all football fans-a star quarterback at Louisville who fell in the draft to No.32 to the Minnesota Vikings in 2014, seemed destined to be the longterm franchise QB for the Vikings for the first two years of his career until a devastating non-contacc knee injury during training camp in 2016 led many to believe he would never play in the NFL again. But Bridgewater fought back to the point where he was active as the backup to Case Keenum for the Vikings’ playoff run last season and then the Jets took a gamble on him with a one-year, $6 million contract this offseason. Reportedly the Jets originally signed him with the intention of trading him for a draft pick but Cimini says head coach Todd Bowles intends to start his best quarterback and that could very well be Bridgewater. Even if Bridgewater does earn the starting nod with his play this summer, it is clear he would just be keeping the sear warm for No.3-overall pick Sam Darnold. But Bridgewater is still only 25 years old himself and could still have a bright NFL future provided his knee holds up. You can be sure that the rest of the NFL-particularly those teams in need of a QB of the future-will be watching his progress closely. How the Jets will handle rookie Sam Darnold as well as the rest of the QB position will be the biggest question this summer around Jets camp. Today Rich Cimini of ESPN discussed how they will look at the situation, and how much of a true quarterback controversy there will be with the Jets in 2018. Incumbent Josh McCown, widely respected in the locker room, will be replaced at some point. It’s inevitable. How that switch is handled — the timing, the circumstances, etc. — will be critical. The Jets have two things working in their favor: McCown is the ultimate team guy and won’t make a stink. Coach Todd Bowles doesn’t have a quick hook. If anything, his hook is too slow. Remember, he was prepared to go the distance last season with McCown over his young quarterbacks even though the team was hopelessly out of playoff contention. He turned to Bryce Petty only after McCown’s season-ending hand injury. This is a different deal because Darnold, drafted third overall, must play — and will play. 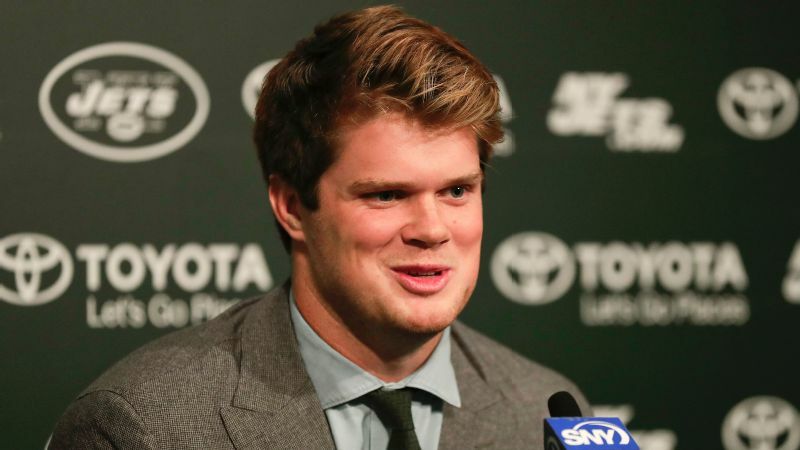 The best-case scenario is for Darnold to show everyone — even the McCown supporters — he’s the best quarterback on the team. That would make for a seamless transition. Otherwise, it could get a bit bumpy, especially if Teddy Bridgewater (can’t forget about him) makes a run for the job. There’s been plenty of buzz around the Jets since the NFL Draft nearly two weeks ago, as many think that the turnaround for the team will be swift, and not the long drawn out process that it’s taken for the team to start winning. 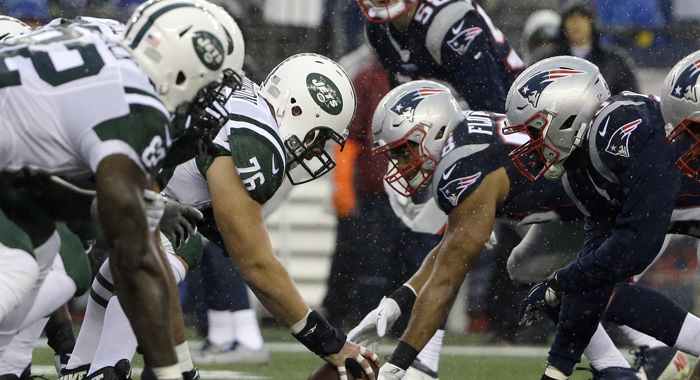 According to the article, the Jets have the WORST shot to unseat the Pats for the Division title in 2018 – a feat that won’t come easy. 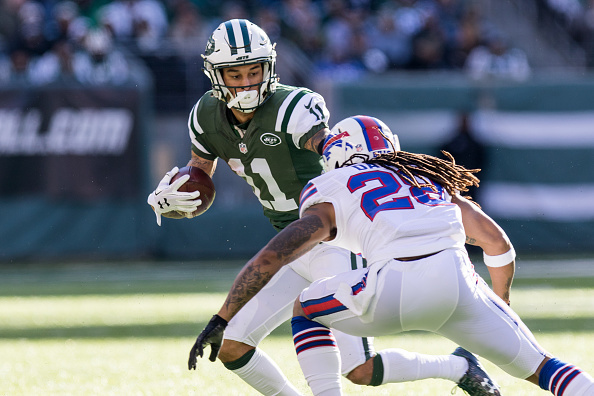 An arrest warrant has been issued for Jets’ wide receiver Robby Anderson after he and his attorney failed to appear in a Florida court on Tuesday, Brian Costello of the New York Post reports. 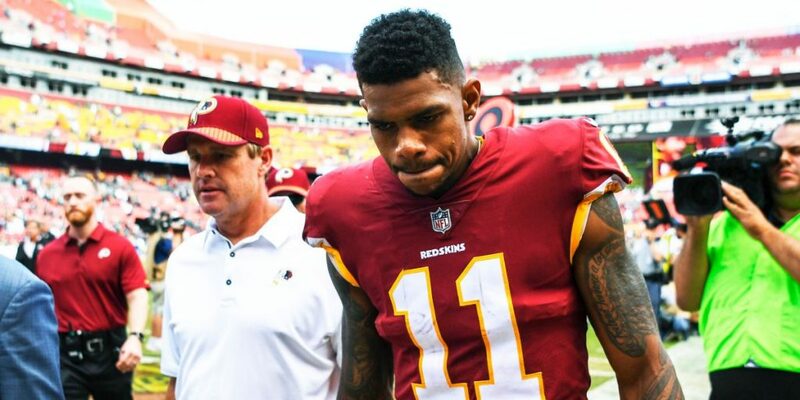 Anderson was scheduled to appear in court for an arraignment hearing on a reckless driving charge from January, but Anderson’s attorney said they were unaware of the hearing and never received notice. That charge came from a Jan. 19 arrest in Sunrise, Fla. Anderson originally faced much more serious felony charges, but those were dropped last month. He was left with a misdemeanor charge of reckless driving. Anderson, who turns 25 next week, allegedly was doing 105 mph in a 45-mph zone and ran two red lights. After coming to a stop, he allegedly told the arresting officer he would find the officer’s wife and “f–k her,” adding some disgusting language. The charges of harm to a public servant, eluding police and resisting arrest were dropped because of insufficient evidence. 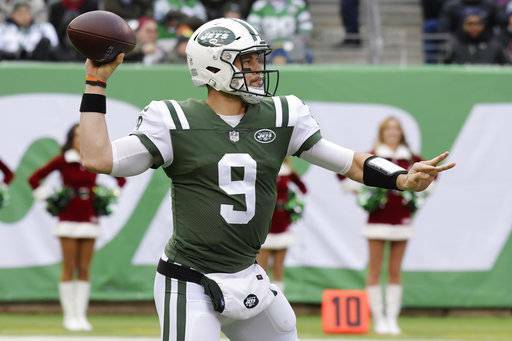 The Jets have made a move at the QB spot, as today the team released one-time draft pick Bryce Petty. One week after selecting Sam Darnold with the No. 3 pick of the NFL draft, the New York Jets addressed their overcrowded quarterback room by waiving former draft pick Bryce Petty on Thursday. That leaves four quarterbacks on the roster: Darnold, incumbent starter Josh McCown, free-agent addition Teddy Bridgewater and 2016 second-round pick Christian Hackenberg. The Jets likely will carry only three in the regular season. They tried to trade Petty during the draft, but they found no takers. Petty, a fourth-round choice in 2015, posted a 1-6 record as a starter over the past two seasons. All told, he had 4 touchdown passes and 10 interceptions and completed just 53 percent of his attempts.